Fyoosion is a marketing automation platform for businesses that allows marketers to generate leads, improve conversions and retention. 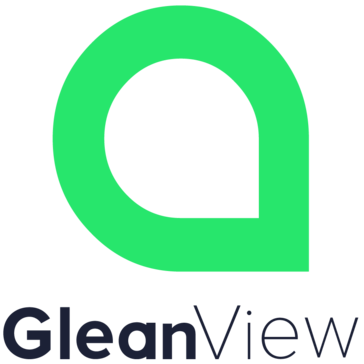 GleanView is a B2B sales and marketing platform for small and medium businesses. 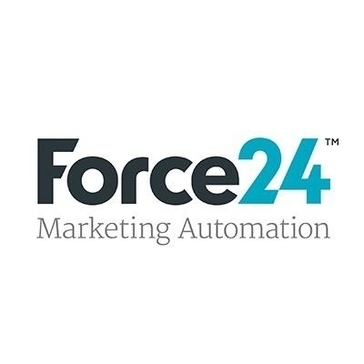 Our family of products addresses B2B sales and marketing challenges from top to bottom of the funnel by harnessing the power of automations and focusing on doing more with less. They can be used together to create a seamless platform, or can be plugged into your existing software to fill gaps and extend functionality. “Hey Oliver” is a marketing automation tool that tracks and monitors each one of your website visitors, their behavior and browsing patterns in real-time. At the same time, it identifies potential clients by analyzing their behavior and transaction data and gets insights into what each customer is looking for or interested in. With the help of our lead scoring algorithm, “Hey Oliver” can identify both positive and negative customers, nurture and process them with the use of a full suite of sophisticated tools. Website leads can get automated, personalized and engaged actions aiming to increase engagement, build trust with the company and help them progress along the sales funnel, fill in an enquiry form, contact the company or whatever the marketing strategy is. “Hey Oliver” can run marketing campaigns to reach potential customers even if they are not browsing the website at the time, via inbound marketing, push notifications, email marketing and real time chat. With Hey Oliver, you can create simple marketing campaigns such as a simple announcement, or more advanced campaigns based on criteria, for example, to reach a group of visitors with an offer who are at least 40% interested in a double bed room in London, with sea-view, coming from Germany in July. HighRoad Solution provides email, automation & inbound to associations. Hunch constantly monitors and analyzes complex information and reports the findings in easy to understand language. Indition CRA is a marketing automation solution with social posts, email templetes and text widgets features. Infor Omni-channel Campaign Management serves as an integrated database marketing solution for planning, executing, and monitoring permissions-based marketing campaigns across multiple touch points. Nurture your customer base and build loyalty with an easy-to-use, comprehensive solution that allows you to take action from any device with real-time results. Ingenius Enterprise is a platform offering data driven marketing decisions. 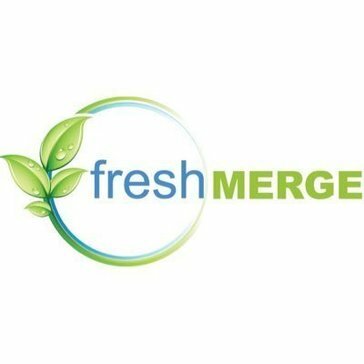 IntellaSphere helps businesses / #SMBs market more effectively using a socially collaborative approach. IntelligenceBank is a knowledge management platform integrates document and image management, media monitoring, collaboration, custom databases and workflow within a single. Sonobi is an advertising technology that offers a solution for publishers, media agencies and advertiser brands to drive results. Jumplead is a web-based marketing automation solution that assists marketers in email marketing, creating landing pages, contact management and lead management. This solution is suited for small and midsize businesses (SMBs). Jumplead’s Contact Management feature enables marketers to segment, nurture and score leads based on real-time lead activity on the website. In addition, the platform allows marketing executives to create conversion forms to drive lead generation by sending automated emails and notifications for following up. Jumplead’s Email Marketing feature enables organizations to run customized email campaigns to nurture leads. This feature also allows marketers to track email open rates, bounce rates and unsubscribe rates. The Campaign Reporting feature summarizes email campaign performance by tracking lead activities connected to email campaigns. Jumplead’s Live Chat feature lets users chat with website visitors and answer their queries. Kelkoo is an ecommerce marketing platform with proprietary shopping websites and a network of premium publishers and helps retailers acquire new customers and increase online sales by advertising products through highly targeted ad placements. Kevy helps online businesses increase sales through intelligent, personalised marketing campaigns. This is made possible through a combination of marketing automation, predictive analytics, and artificial intelligence tools. Marketing automation can be complex, so Kevy's team also provides support to help you solve issues and build optimal campaigns. LeadLovers is a sales automation and digital marketing platform. With LeadScoreApp, you can track everything your leads do on the site. Use your leads' digital footprint to automate and target marketing to focus sales efforts on hot leads. Leadsius is the world's first truly free marketing automation platform and is built specifically with SMB's in mind. Getting started is as simple as creating an account and implementing your tracking to start meeting your leads! Marketfox is a marketing automation software that simplifies marketing with AI. We are passionate for Marketing Automation. We know Marketing Automation add tremendous value in overall marketing of your business. Its a must-have tool for every efficient Small business. Marketing optimization software for marketing managers that are focused on generating targeted leads and improving sales team performance. Marketing Optimizer empowers digital marketers with the tools and reporting to continually improve their lead generation campaigns. Marmind provides solutions for planning, coordination, and monitoring of the entire marketing process. Mi8 helps companies generate and convert more leads into sales, and optimize marketing and sales ROI with 24/7 automated data management across all inbound and outbound channels. MVP Marketing, developed by Osprey Strategic Research, is a multi-channel marketing automation platform. Marketing automation gives you the advantage of increasing exposure with prospects who are in the research and investigative mode of buying. Netmera enables marketers to create, schedule, and segment push notifications. Netrefer's Unified Performance Marketing Platform is an automated marketing solution built for the affiliate life cycle. Nicgrade offers a marketing automation cloud platform, that helps businesses automate their engagement with potential customers, at every stage of the entire sales pipeline, using automated campaigns and multichannel communications. Nielsen provides analytics, planning, and insights into your marketing data as well as access to Nielsen's data. Nurture is a marketing automation & revenue performance management application for B2B marketers.